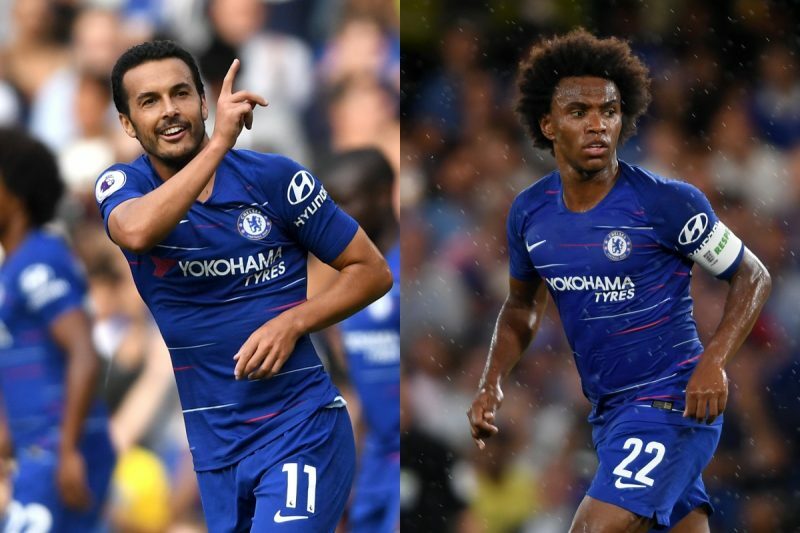 It’s not always you’d hear this from Chelsea fans but this season Pedro has proved monstrous in front of goal and must be fancied to start ahead of Willian this Saturday. The Brazil star has been glorious on the ball and has immensely contributed to Chelsea’s 100% record in the league so far, but his only problem is, another forward is actually performing better. Pedro, largely criticized for his missed chances and inability to play at equal levels last season when some of his teammates clearly looked a cut above him, has stepped right up the ladder of performances and began the Sarri-era pretty well. The former Barcelona forward has played four games this season, two off the bench, and scored three goals in the process. His first against Huddersfield then scored the Blues first of three against Arsenal before adding his third of the season against Bournemouth to cap a fine start to the season before the international break. Now Cardiff stand in the way of Chelsea as they seek a fifth consecutive win this season and Pedro is a weapon in Sarri’s Arsenal, that he just can’t waste on the bench. Alex Goldberg, a Chelsea fan agrees. 95% of Chelsea fans aren’t seduced by his step-overs anymore. It’s time to play better, period.